Are the police really interested in partnerships? We often hear public officials talk about partnerships and they stress the need for it. Partnerships are critical to take South Africa forward and we know government alone will not succeed without the support of civil society. The South African Police Service (SAPS) is one such department that always stresses the need partnerships. They are not serious at all about partnerships and often alienate communities and the business sector. I am inundated with calls every week from individuals, NGO’s and companies who want to assist in the fight again crime. They come up with innovative ideas and suggestions. But, most don’t even get the courtesy of an acknowledgment letter when they write to the police leadership and even politicians. 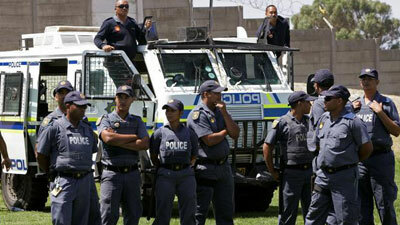 This is a sad indictment on the SAPS and on our government. The National Development Plan (NDP) talks about active citizenry. And yet when ordinary citizens take the lead and want to become active, they are shown the finger. I was convinced that Fikile Mbalula would take partnerships to a new level when he took over as police minister. But, very little has changed so far. Let’s give him a few more months and see if things improve. The police treat many communities with contempt. No wonder public confidence in the SAPS is so poor. The same can be said of many other government departments on a national, provincial and local level. I had a company approaching me wanting to invest millions of rands to make our cities safer. We are still waiting for the City of Johannesburg and Tshwane Metro to respond. Another NGO offered to give the SAPS groundbreaking technology at no cost. Again, not even a reply. It’s simple: if these government departments are not keen on partnerships, corporates will invest their money and time elsewhere. If the police think they can fight crime alone, good luck! It’s time they smell the roses and wake up to the fact that they will not succeed without partnerships and support from the public. A new multi-million rand orphanage is to be constructed in Ennerdale, south of Johannesburg. The project is being undertaken by the local Muslim community and it will be open to all sections of the community. Speaking at the soil-turning ceremony today, Councillor Mohamed Christians, City of Joburg’s Chair of Chairs, praised civil society for taking the lead. Abramjee opened pledges and R25 000 was donated within 3 minutes from the community. A further R300 000 was pledged from a nearby Muslim community. The Baitul Haleema Orphanage is expected to be completed next year. Hendricks said he was proud of the Ennerdale community and its religious leaders. Netnow said Abramjee promised to support a local project when he visited Ennerdale last year to donate R1m to a local charity for Syrian refugees and orphans. Operation SA led the drive. “Abramjee kept to his word and we are seeing local now benefetting,” said Netnow. 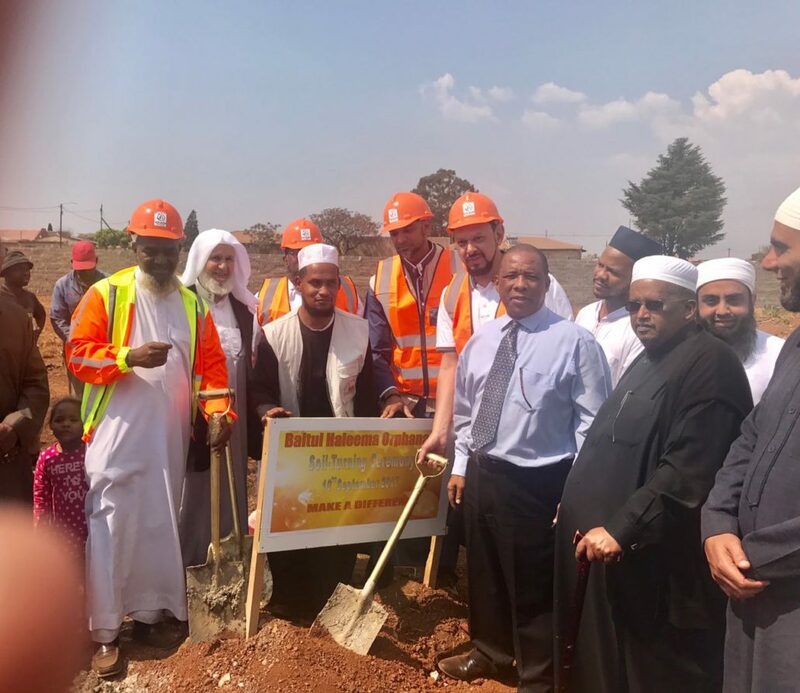 Moulana Bilal Vaid from the Jamiatul Ulama South Africa (Council of Muslim Theologians) said the project needed all the support.